Most managers and business owners have had the displeasure of dealing with an employee who failed to follow instructions, but even people who are experienced at the task still encounter difficulty with determining how to handle employee insubordination. It is necessary to address the issue, however, before it has time to manifest into something more serious or something detrimental to your company. 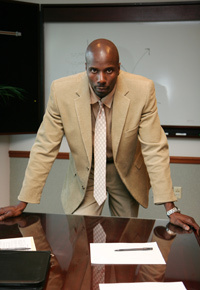 Therefore, it is important to understand the various techniques for handling employee insubordination. If an employee is causing problems (even if they don’t realize it), it’s very important that you address the issue quickly. By ignoring the problem in the hopes that the issue will simply resolve itself, you not only put yourself in the uncomfortable position of resenting the employee for a problem you haven’t even told them exists, but you also allow the employee to set a bad example for the other individuals who work at your company. Therefore, it’s best to speak to the employee about the issue as soon as an appropriate time arises. Take them aside in a private location (It’s never good to criticize employees in front of their peers. ), and begin to outline your concerns. When speaking to the employee, be courteous and respectful, but also make sure you get your point across effectively. If they leave your discussion with little understanding about the problem or your proposed solution, then you haven’t done your job properly. During your conversation, it’s important to try to discover the root of the problem. Give the employee the chance to present their side of the story, as it may just surprise you. There is also one important question you should ask yourself during this conversation: Is the problem rooted in knowledge or attitude? Oftentimes, an issue that you thought was caused by a negative attitude could actually be the product of poor or inadequate training, something that may not be the fault of the employee. Perhaps they were ill-informed or poorly trained, and as a result, the employee genuinely did not understand that what they were doing was wrong. Therefore, before deciding on a solution for the employee’s insubordination, you should first determine who is truly at fault: the employee or the company itself. Determine the right course of action. 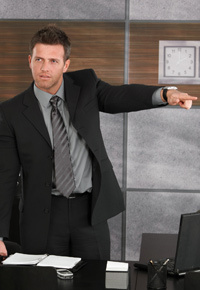 There are no rules set in stone for how to determine the right course of action for employee insubordination. This means that you’ll have to use your best judgment as a manager and find a solution at your own discretion. When doing so, understand that while it’s important to adhere to any company policies that may be in place, it’s equally important to pass judgment fairly. Rules are important, but so is your intuition. For example, is the employee a repeat offender whose problem you determined was rooted in attitude? Or are they normally an efficient and loyal worker whose problem you found was actually rooted in poor training? “The punishment must fit the crime,” as they say, and if you enact a harsh punishment on an employee who didn’t even realize they were making a mistake, you could actually stand to worsen the situation. Employees who feel they were treated unfairly are likely to resent their situation, and their loyalty to your company could suffer as a result. Whatever you decide for a course of action, be sure to explain it clearly to the employee. This helps them to understand two things: First, they know what they should do next to rectify the situation, and secondly – and just as importantly – they understand why you made the decision that you did. They may not like your decision, but even so, helping them to understand it often serves to lessen any feelings of resentment. Although employee insubordination is never a pleasant issue to address, it’s important that you do so for the sake of your company. Evaluate the situation using a combination of company policy, the employee’s input, and your own judgment as a manager, and then define a solution based on your conclusions. Hopefully, this will help to keep the problem from arising again, which allows you to focus on strengthening your employee team, thereby strengthening your company. Just in time. Good article. Hello, I have a question and your advice will be highly appropriated. I was out on leave for about 1 month 4 days. Upon return to work, my supervisor did not update me on changes that occurred in my absence such as in field itinerary, etc. I completed a field itinerary using the common practice. The next day while in the field doing my work, my supervisor sent a message directing to return to the office after a meeting because he has denied my field itinerary submitted to him because I did not completed it as required and attached information that was enforced in my absence. Based on the nature of my job, I requested his permission to stay in the field and amend my field itinerary first thing upon entering the office the next day. He responded and asked for my meeting time. I responded by providing him with the time. After such communications as stated above, I thought he had no problem with me to stay and complete my work as previously scheduled. He later charged me with insubordination and suspended me for 5 days. I disagreed with the charges based on circumstances that existed before the allegations and the fact that he failed to clarify his order when he responded to my followed-up communication asking for his permission. Do you think my supervisor was correct to charge me with insubordination? Your supervisor sent a message directing to return to the office! 1) Changes at work has to be taken into consideration. You shoul train yourself to adapt to new instructions. You will be the one who will gain from it. 2) Then, you could have had the opportunity to explain to him that you went not aware of the change. 3) implications: Do you realise that if the company loses, your job is less secure? 4) Analyse the nature of your job. Is communication important to you. Then I think the supervisor must ask for an explanation before suspending you. The issue is alignment. If everybody is working toward the same goal, i.e. customer satisfaction, then there might be some healthy disagreement on the exact method, but at the end of the day this kind of thing should be minimal. But, it is common for not everybody to be in alignment. If the supervisor’s mission is “project my power over my underlings” or “keep costs under control” and the employee perceives that it’s more about the supervisor than it is about the mission, then there is going to be resistance. I saw an estimate recently that says 80% of supervisors are the “wrong hire”, a lot of them get into it for the wrong reasons, and they are quite likely to be disengaged from their jobs because they are taking their eye off the mission. In the example above, you have a situation where the worker is trying to do his field assignment i.e. take care of the customer, and a knowledgeable supervisor that is equally aligned, that has respect for the employee and is honoring the mission might very well say “OK finish up your job and come back and we will work out the changes.” But, what is actually happening is the supervisor is saying “my approval of your itinerary is more important than you going out and taking care of the customers” and then “your following of internal rules is more important than customer service”, and “I expect you to read my mind. If I don’t train you on workplace changes when you are gone, that is your problem” and naturally this is causing some confusion on the part of the poor employee that is the most customer-facing member of the organization. Do you think this poor person will do an effective job of customer service NEXT time he or she goes out? Sometimes it’s really about the employee, and sometimes, quite often in fact, it’s actually about the supervisor, and even more often, it’s about what the priorities are in the organization and whether both are equally aligned. Well this is a sticky situation, if the manager did communicate this to you via email, text, etc. while you were away this is your fault, and it is up to you as the employee to manage all communications prior to your return to work. Further more you should have gone to the office after being off for over 1 month to see if anything changed procedurally with your manager. If there was no communicate to you via the mentioned above then this is the managers fault for not telling you to come in after leave to discuss the new procedures, further more the manager needs to do a better job coaching not disciplining employees. This is a paperwork issue not an insubordination issue, it can be corrected very quickly and without incident. The manager should have said to you, “I have rejected your field itinerary we had a change in documentation come into the office tomorrow and we will go over the new procedure. I am sorry I did not communicate this to you sooner we will get it corrected then.” This can be handled in a way to not upset anyone, and is an easy fix. Hi I had a quick question. At my work we just hired an Administrative Secretary that is at a higher position than I am and at higher pay. What i want to know is will I have to train that person even if that is not my everyday job and I only subbed for that position last year. Can I be considered insubordinate if I do not train that staff member.